Down in San Francisco, T-Mobile hosted Un-carrier 7.0 today, making a few announcements which are sure to have many T-Mo customers, and even non T-Mo customers a bit excited. For starters, the carrier announced its next generation of WiFi calling. 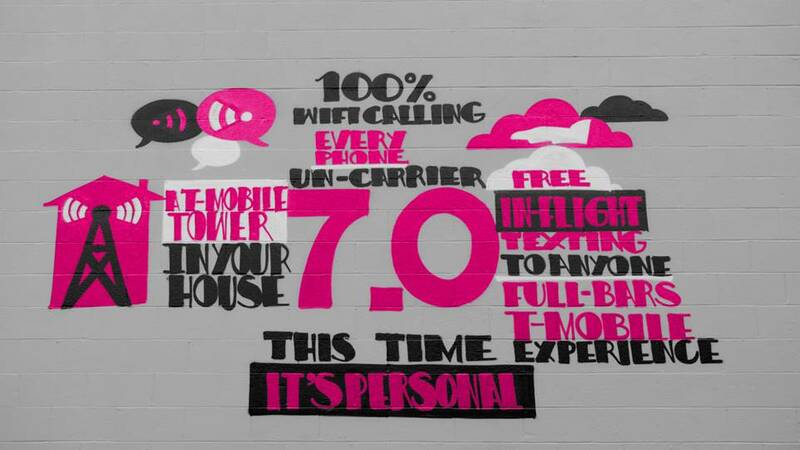 To put it simply, T-Mobile states that for every single customer, a WiFi connection is now a T-Mobile cell tower. When moving through the town or within your home, T-Mobile customers, as long as there is an active data connection they can hook up to, can make and receive calls via WiFi. No more black holes in your home. In addition, T-Mobile announced Personal CellSpot, a router device that can be hooked up in your home, enabling you to have even better cell service no matter where you are. From what we saw, the router is made by ASUS, and can actually replace your existing WiFi router or run right alongside it. If you have T-Mobile, but experience poor service, you can request a Personal CellSpot for completely free, minus the $25 refundable hardware deposit. Pre-paid customers can also request a Personal CellSpot, priced at just $99. To top it off, T-Mobile announced an exclusive partnership with Gogo, the company that offers in-flight WiFi service on 8,000 flights in the US a day. When you are a T-Mobile customer, you can text any number in the world (SMS, MMS, video message) as much as you want, for absolutely free while at 30,000 feet. To connect, all you need to do is connect to Gogo through its captcha security service. Once connected, you can text all you like. All of these changes go into effect on September 17, including the free Personal CellSpot and Gogo free texting services. For more information, check the full press release below.